Don Smith (California, United States) on 16 December 2017 in Landscape & Rural. Finally had some time this week to get out with my new Sony a7RIII. If you have one or are expecting one from Santa, I've posted a blog where I talk about 10 Key Menu Settings for Landscape Photography: CLICK HERE TO READ BLOG. 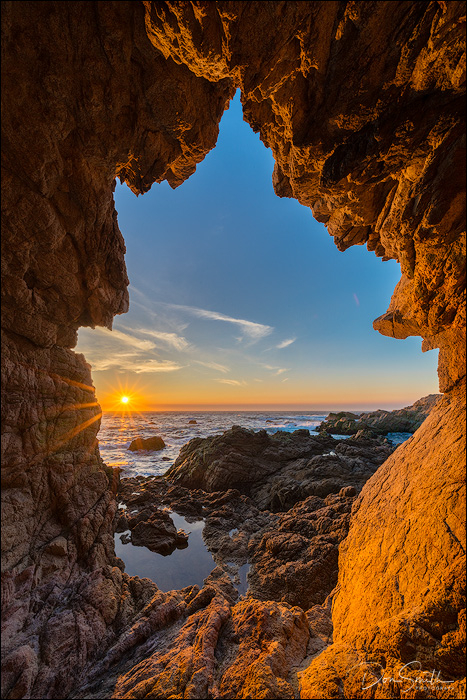 I'd like to thank local Monterey photographer Christopher Axe for leading me to this cave. Hope you get a chance to check out his work here on FB - he's an awesome photographer and a really nice person! This is wonderful, Don!!! I read your piece on getting into the zone...I tried to respond but was having all sorts of issues with my electronics too...maybe mother time LOL...So now I am going to click and se the blog post you have above ;-) All the best to you, sir!